This case shows that some states will hold employers to strict standards when it comes to proving that an employee shouldn’t receive workers’ comp because they were under the influence of marijuana. Earnest Lingo worked for Early County Gin Inc. in Georgia. He directed drivers as they backed their large trucks into a loading dock area where he would then assist in unloading cotton onto a platform. On Nov. 20, 2014, Lingo was on duty at the loading dock. As he was sweeping the area, a truck began backing toward the loading dock. The truck struck Lingo from behind, crushing him against the loading dock. The truck didn’t have a functional back-up beeper. Lingo had emergency surgery for several injuries, including pelvic, chest and rib fractures, and damage to his stomach, spleen and colon. The company requested a post-injury drug test from a lab technician it had retained, and she went to the hospital to obtain a urine sample. Lingo was in surgery, and the technician wasn’t permitted in the operating room. The technician told an operating room nurse she needed a urine sample. The nurse returned with one. The sample showed the presence of marijuana metabolites. The company denied workers’ comp benefits for Lingo. The company’s general manager said, despite the lack of a back-up beeper, Lingo should have heard the truck’s air brakes and inferred he wasn’t able to because he was under the influence of marijuana. Lingo presented an expert witness who took sound measurements at the loading dock and said the sound of the truck wasn’t distinguishable from the background noise of the cotton gin, so Lingo wouldn’t have been able to hear the truck behind him. A co-worker testified he and Lingo smoked pot together daily, and he and Lingo had been smoking weed on the premises on the morning he was injured. Lingo disputed his co-worker’s account, saying he only smoked marijuana while he wasn’t working. The company general manager said he had no evidence employees were intoxicated on the job or were smoking pot on the premises. No marijuana or drug paraphernalia was found in the clothing Lingo had been wearing when he was injured. An administrative law judge found the co-worker lacked credibility. The ALJ ruled the employer had to provide workers’ comp benefits for Lingo because the lab technician didn’t observe the sample being taken and there was no other evidence or testimony about the “chain of custody” of the sample. The workers’ comp appellate division overturned the ALJ’s decision based on how chain of custody worked in criminal cases. A state court agreed with the appellate division that Lingo shouldn’t receive comp benefits. Lingo fought that decision, and a state appeals court recently weighed in. Lingo argued the employer failed to follow the rules about collection of samples for employee drug screens. 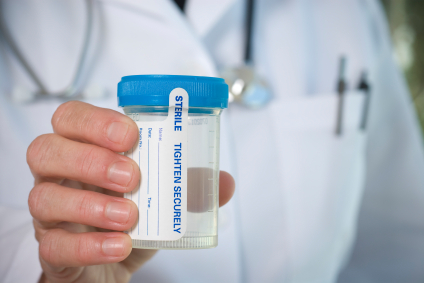 Georgia law says a sample has to be taken by a physician, physician assistant, registered professional nurse, nurse practitioner, certified paramedic or a qualified lab technician. The appeals court found the lab technician didn’t know who collected the specimen from Lingo. “Because the specimen was taken while Lingo was in an operating room, it is reasonable to assume it was taken by a nurse, but assumptions based on speculation are not evidence,” the court wrote in its opinion. On top of that, the appeals court said it wasn’t correct to apply the rules for chain of custody from criminal cases. Lingo wasn’t charged with a crime. For those reasons, the appeals court found the company failed to show marijuana use by Lingo caused his workplace injury. It remanded his case to determine his workers’ comp benefits.